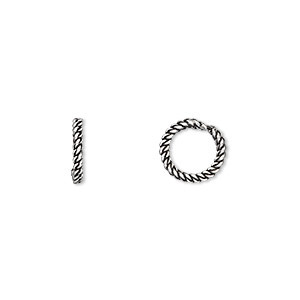 Bead, antiqued sterling silver, 9.5x2mm twisted rondelle with 6.5mm hole. Sold per pkg of 2. Item Number: H20-A2847MB Have a question about this item? 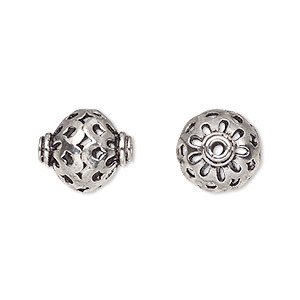 Twisted rondelle beads in antiqued sterling silver have a variety of uses, including as single spacers between large beads or in multi-bead stacks. Sizes, shapes and colors may vary with handcrafted items. Bead, sterling silver, 10x4mm fancy beaded rondelle with large hole. Sold per pkg of 2. 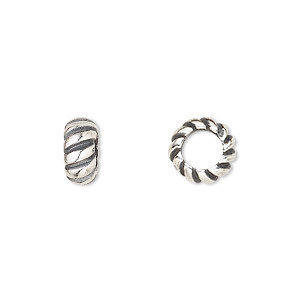 Bead, silver-plated copper, 7x2mm twisted rondelle with 3mm hole. Sold per pkg of 50. Bead, antiqued sterling silver, 14x14mm saucer with cutout design. Sold per pkg of 2. Bead, antiqued sterling silver, 10x4.5mm spiral rondelle, 5.5mm hole. Sold per pkg of 2. 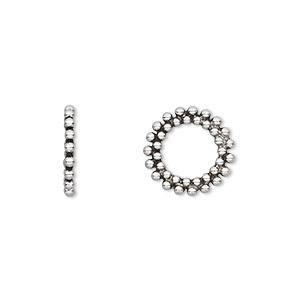 Bead, antiqued sterling silver, 13x1.5mm beaded rondelle, 8mm hole. Sold per pkg of 2. Bead, antiqued sterling silver, 10x3mm rondelle with dots, 6mm hole. Sold per pkg of 2. 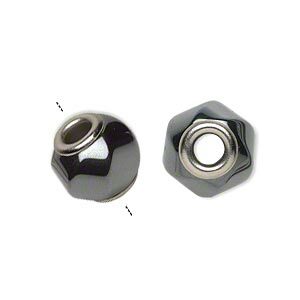 Bead, antiqued sterling silver, 9x7mm lined bicone. Sold per pkg of 2. 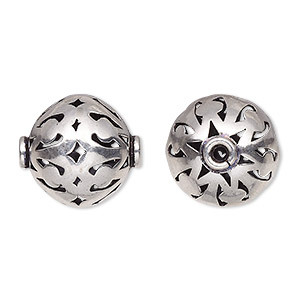 Bead, antiqued sterling silver, 17.5x16mm saucer with cutout design. Sold per pkg of 2.